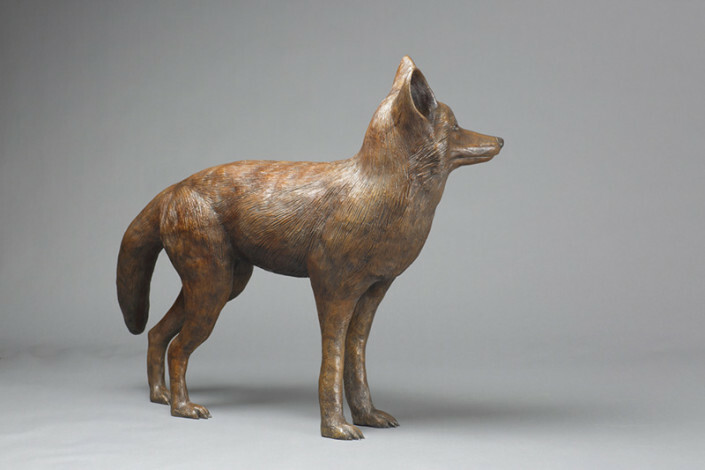 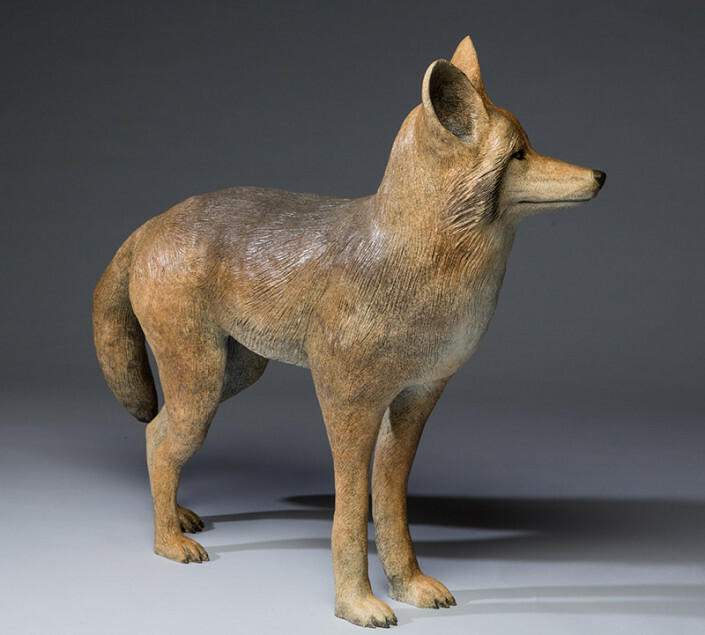 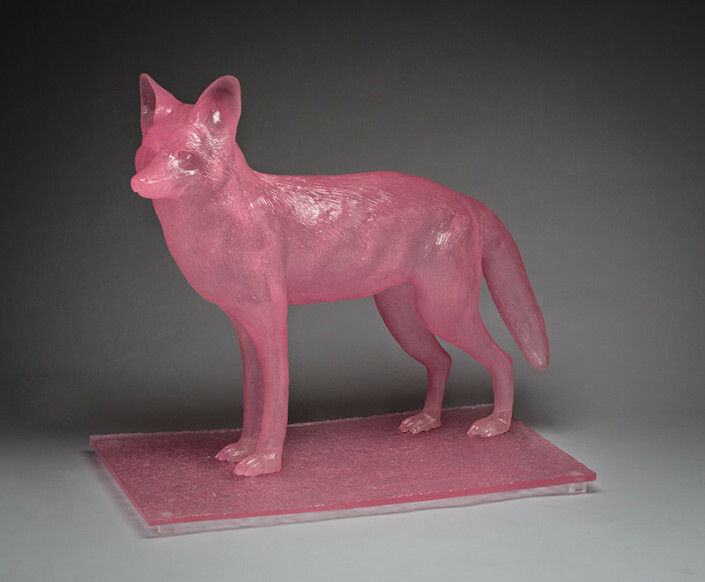 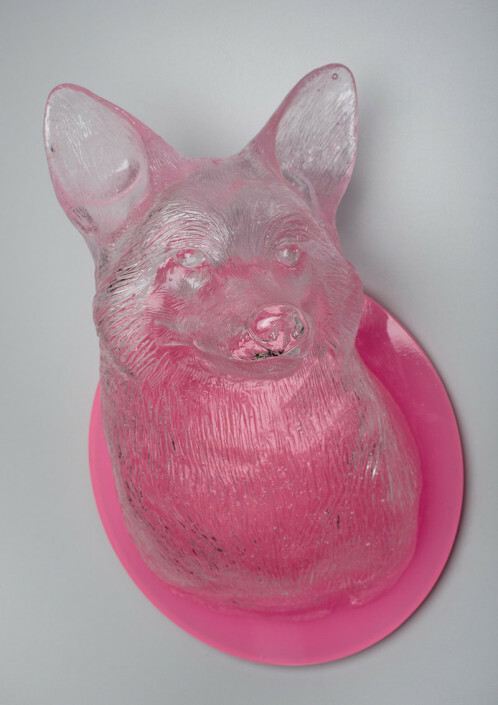 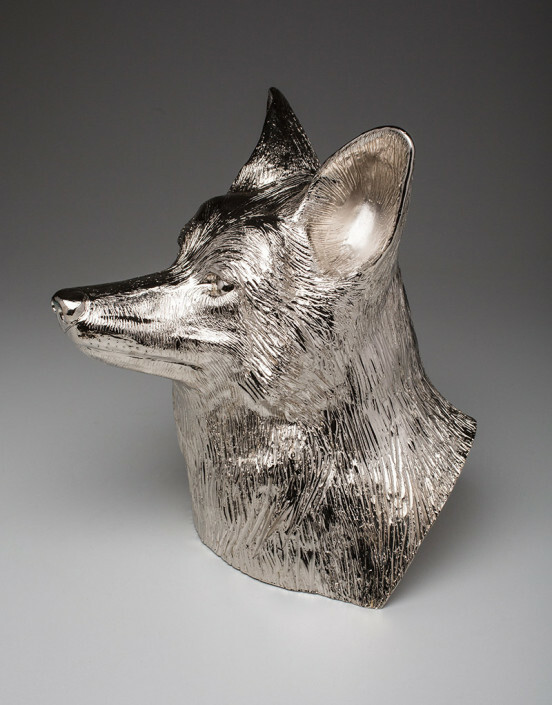 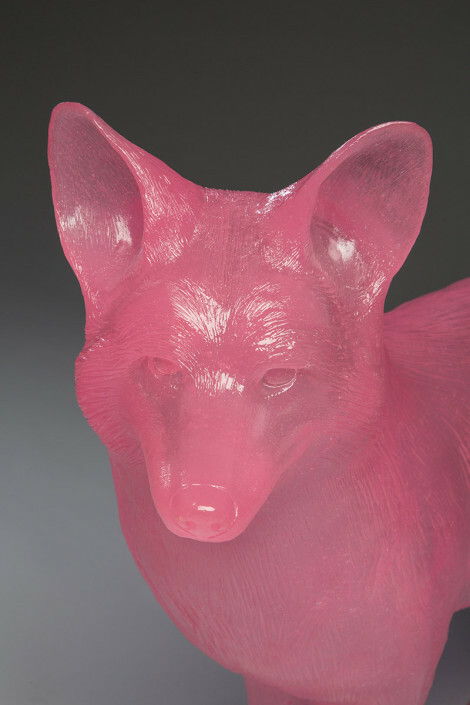 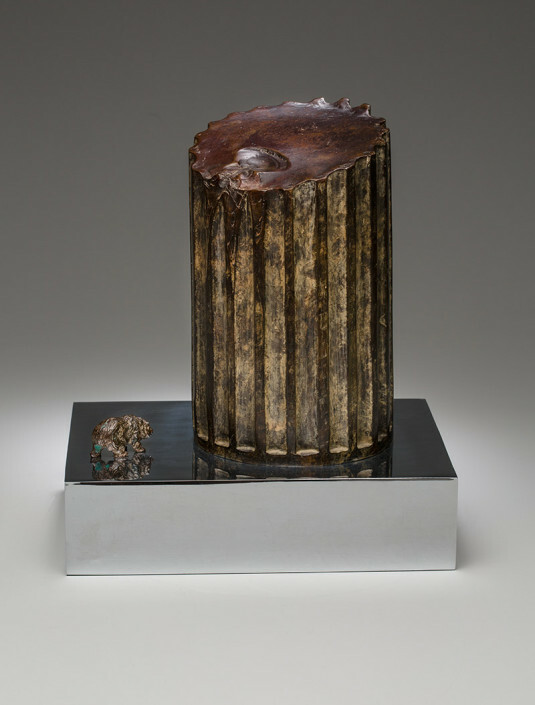 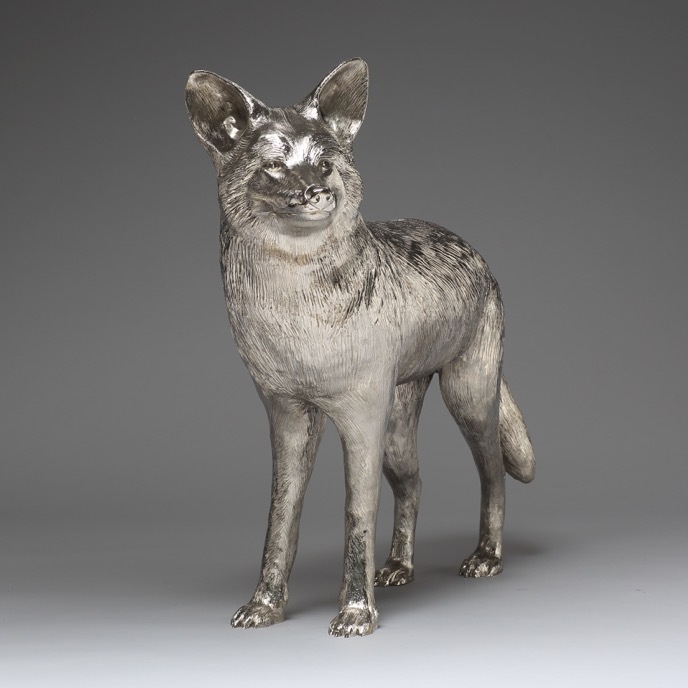 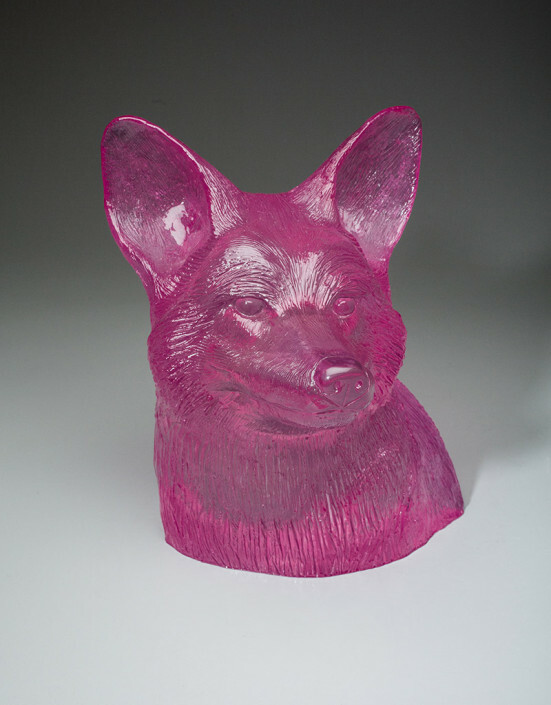 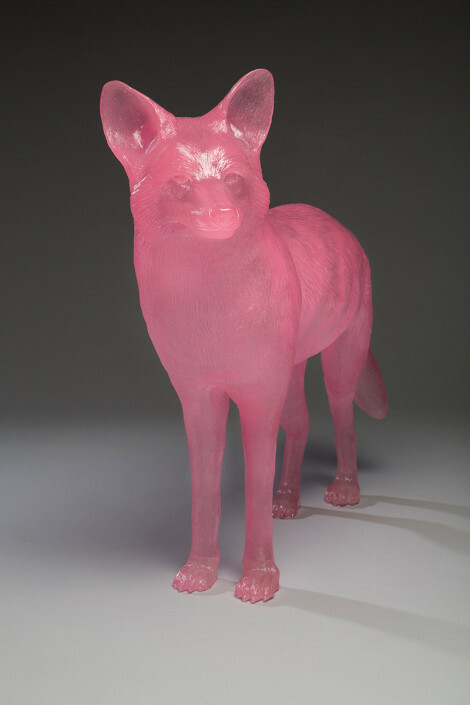 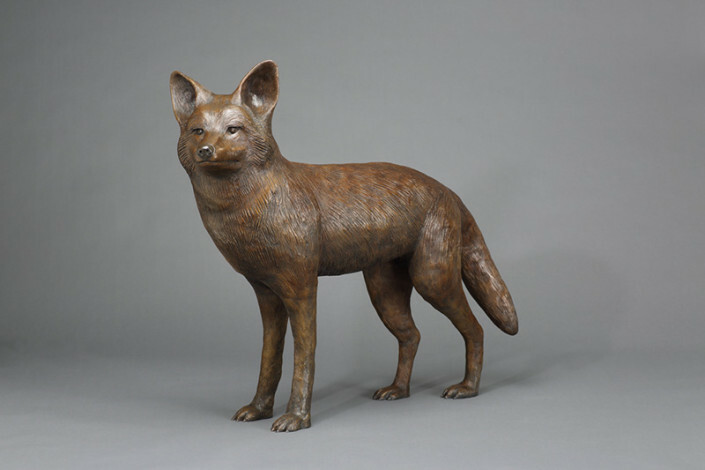 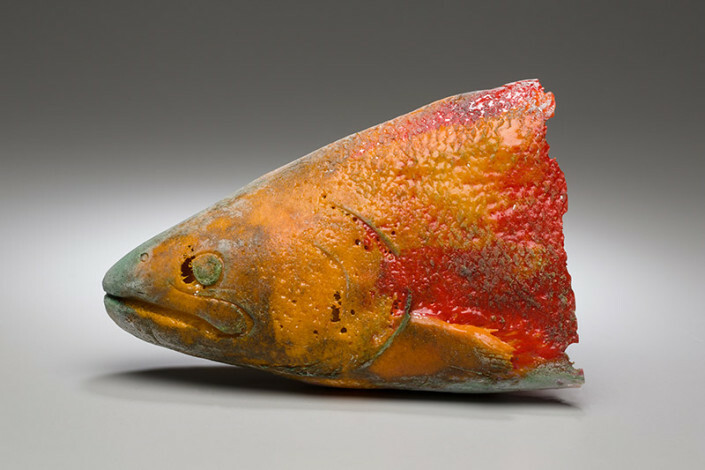 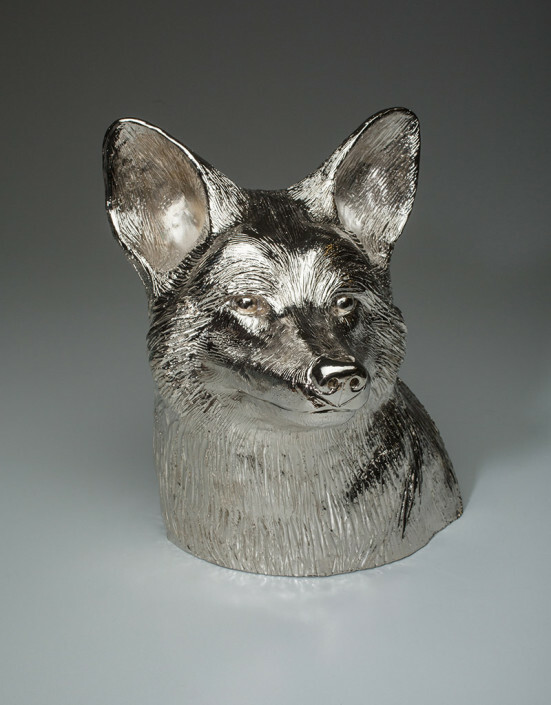 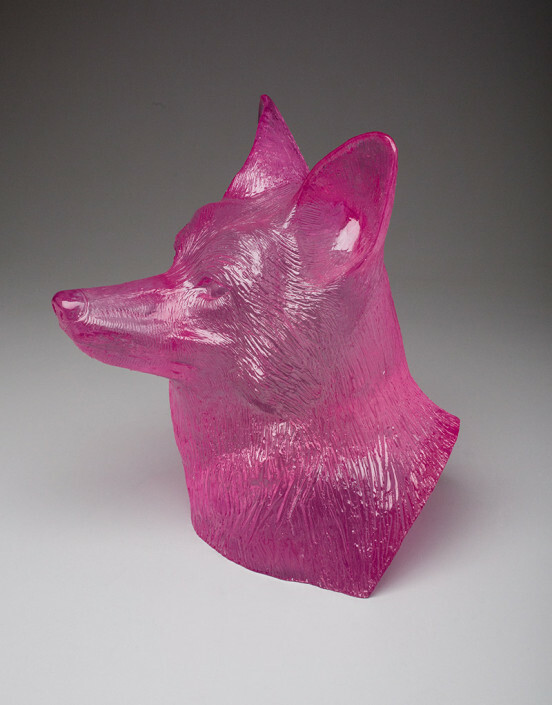 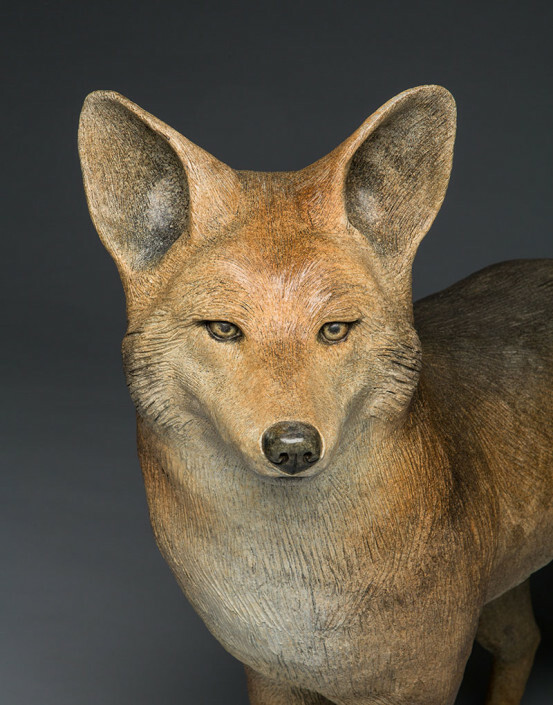 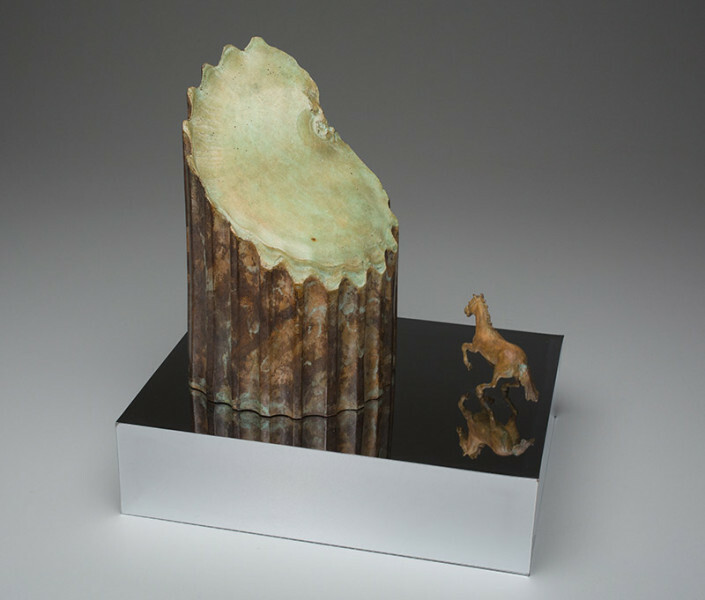 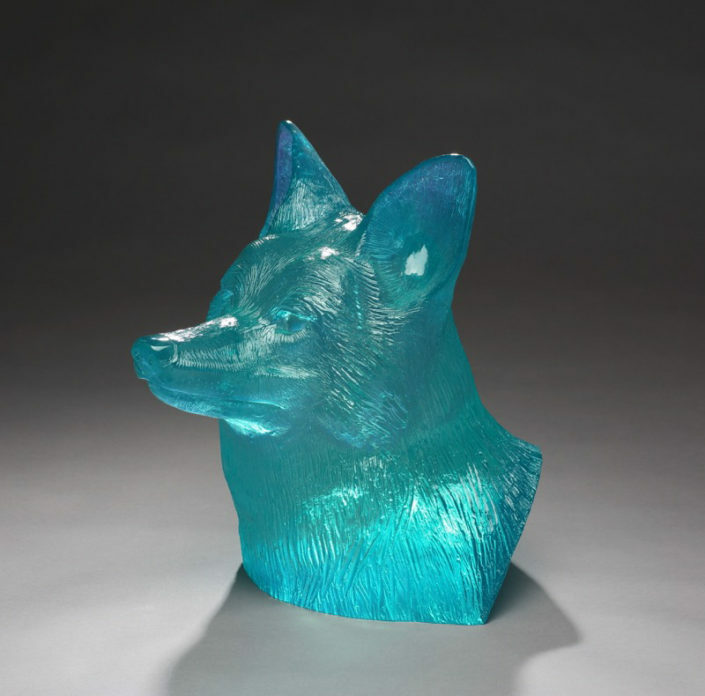 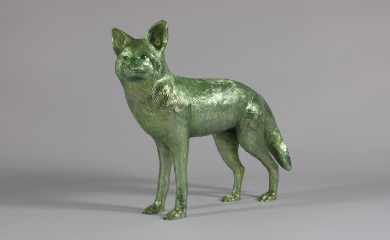 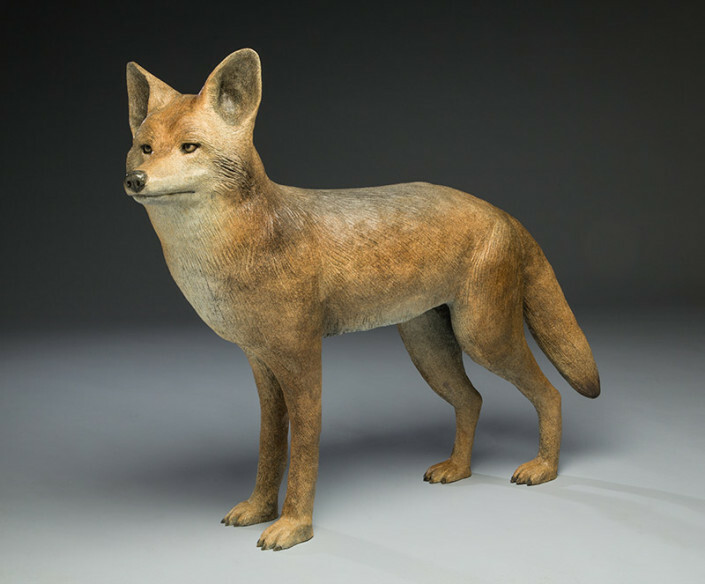 Coyotes are portrayed in bronze and cast resin. 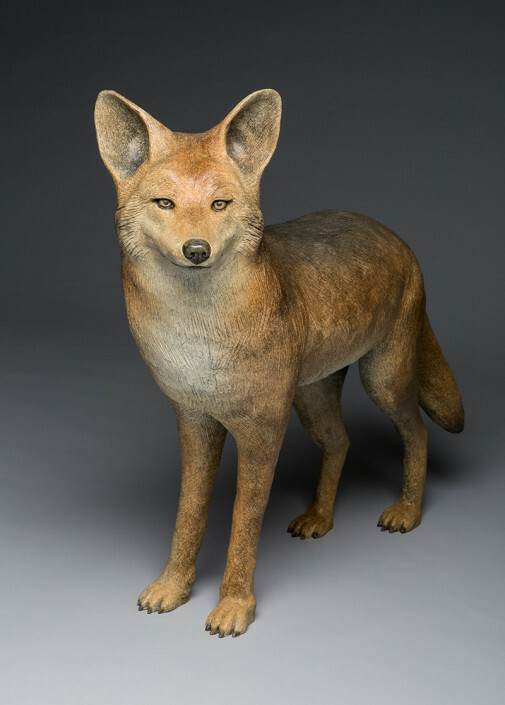 I chose coyotes because they are prevalent in our urban neighborhoods. 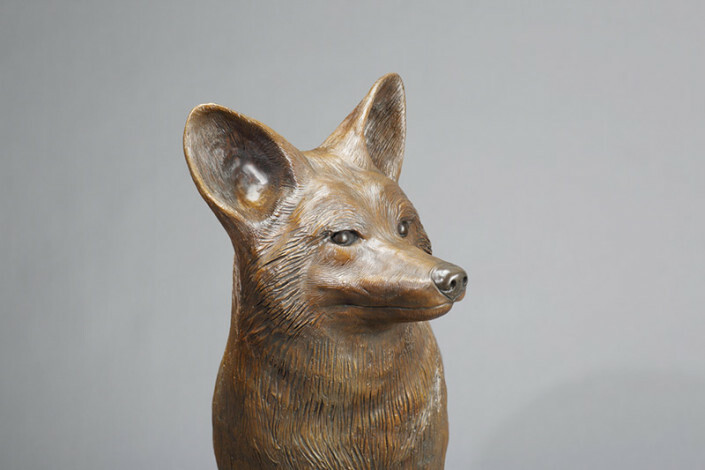 I employ the element of surprise. 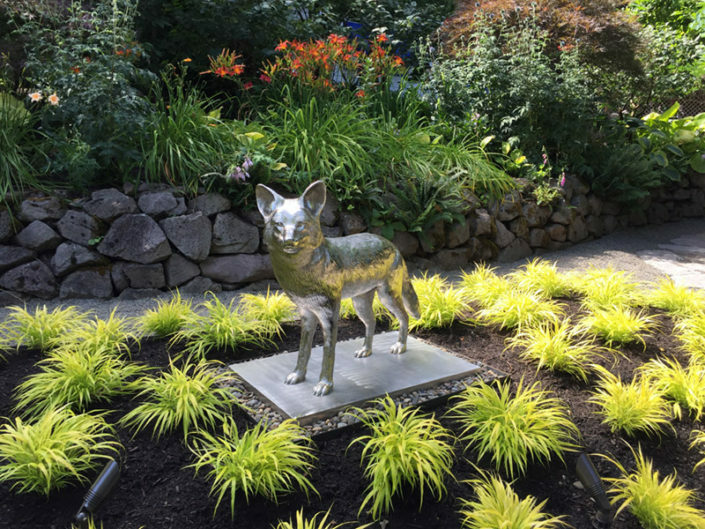 We don’t expect to see a wild coyote on the sidewalk yet here he is. 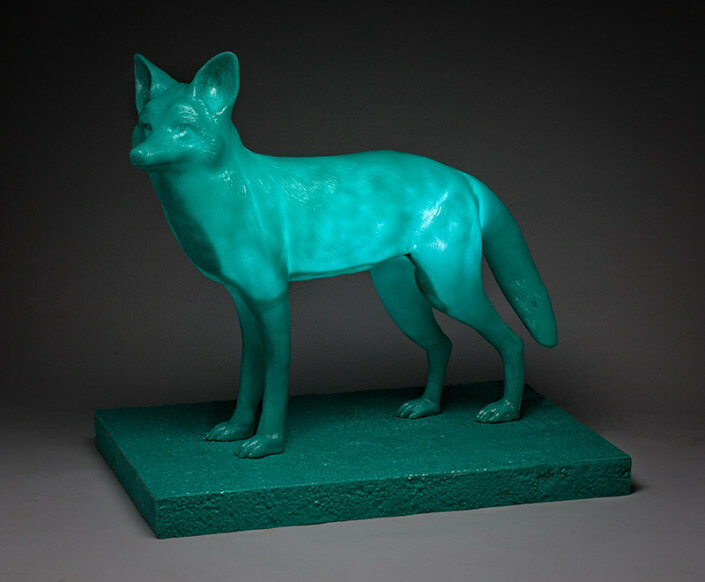 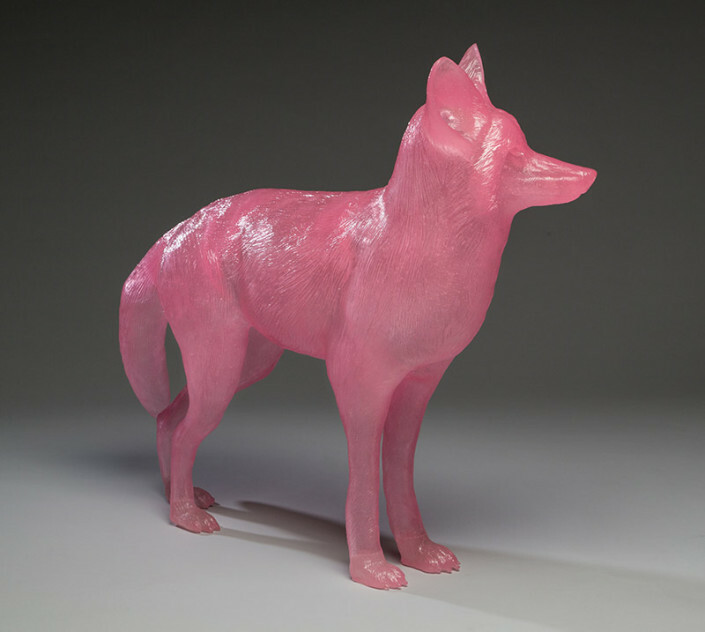 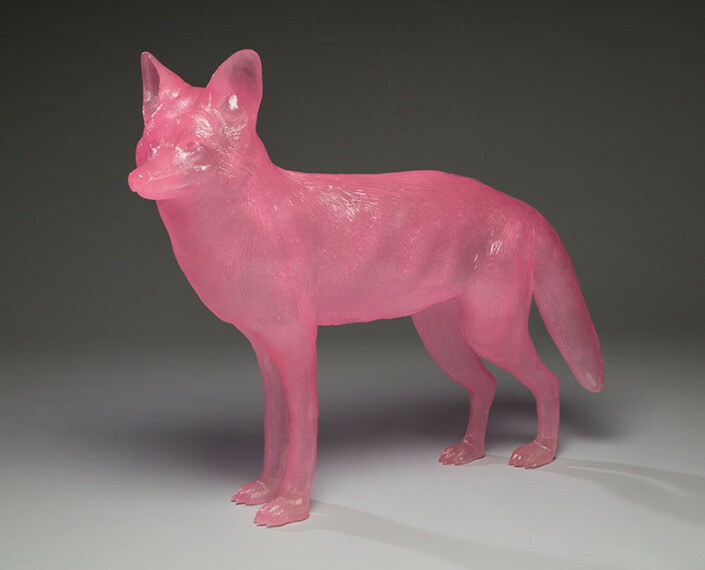 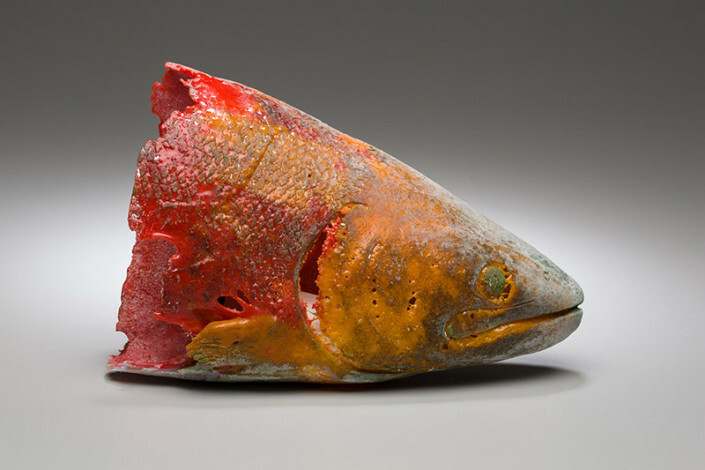 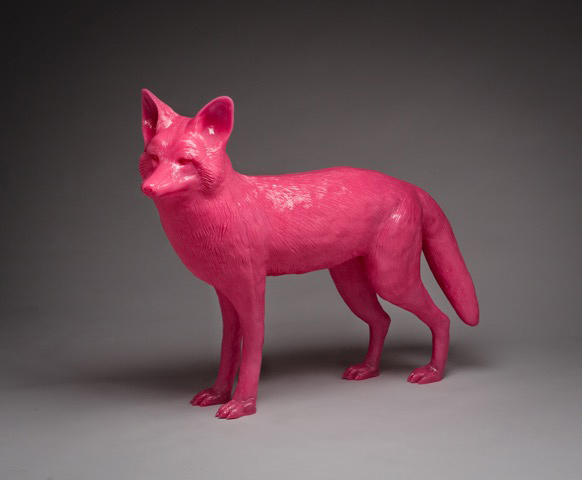 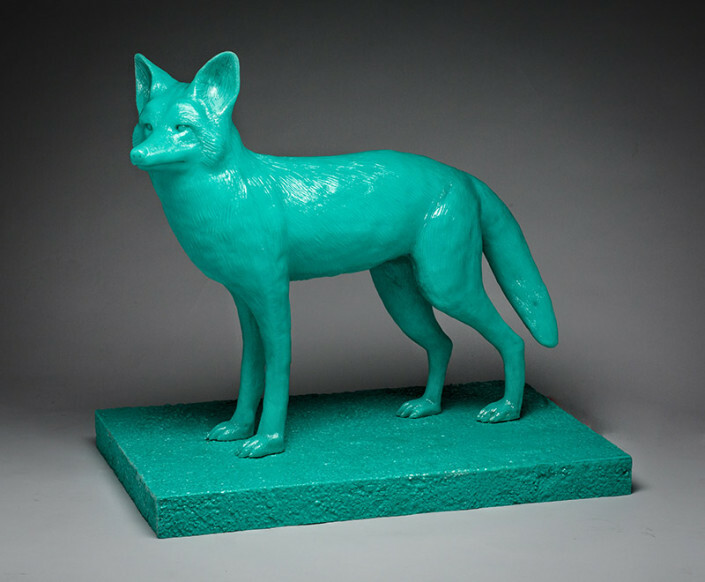 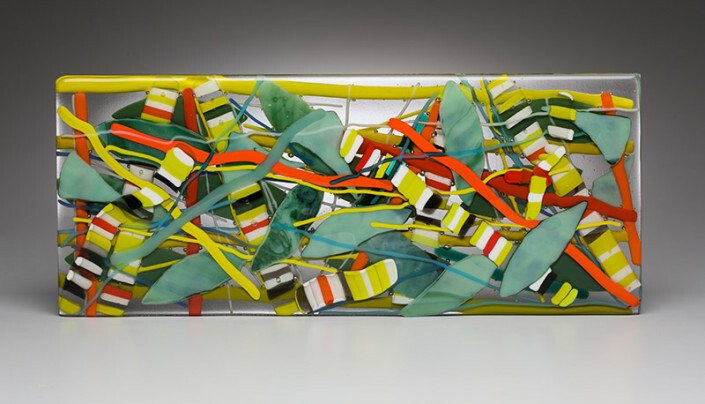 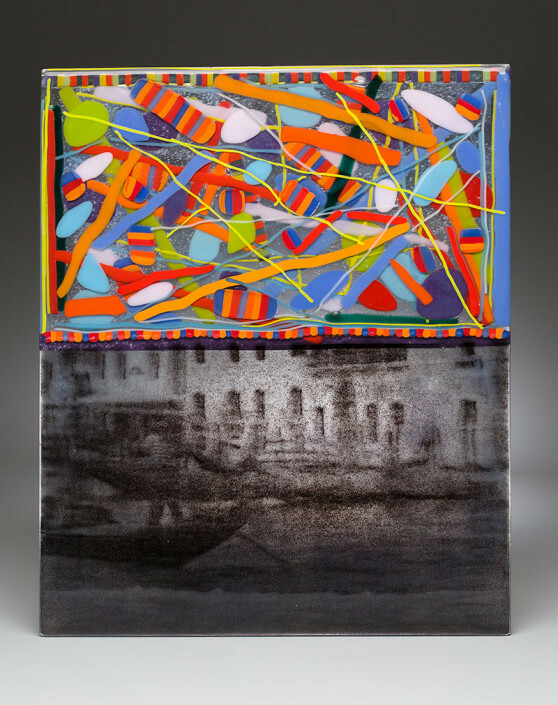 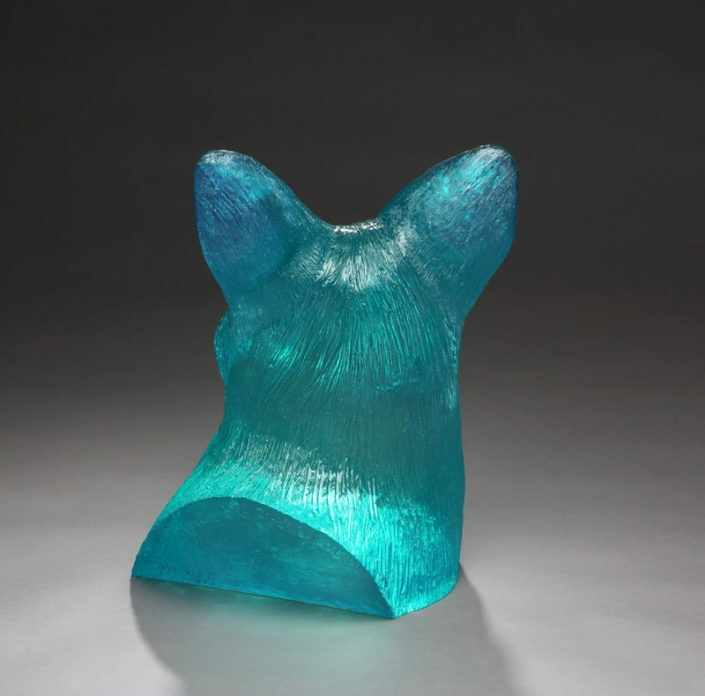 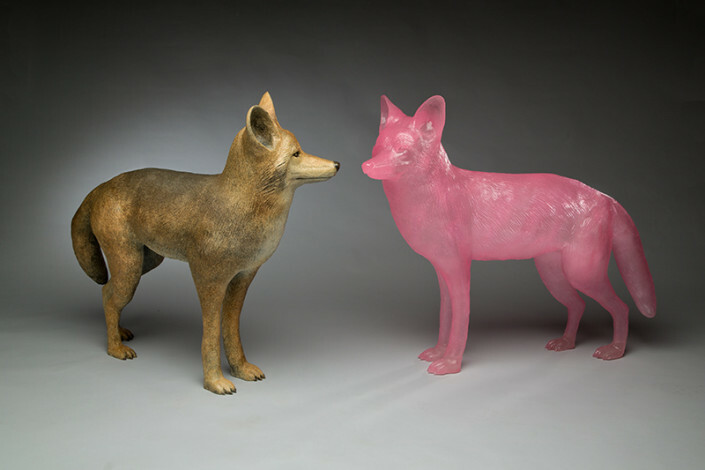 “Portland Pink” is vulnerable and fanciful while “Sea Green Coyote” gives an aura of water and illumination. 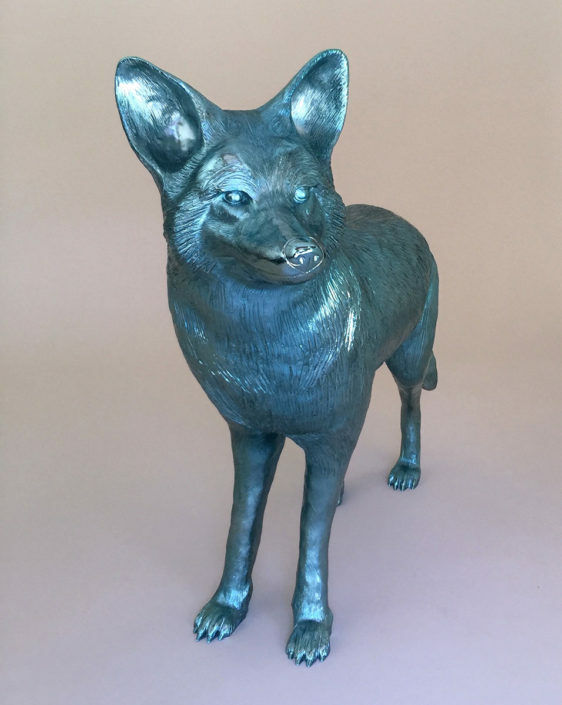 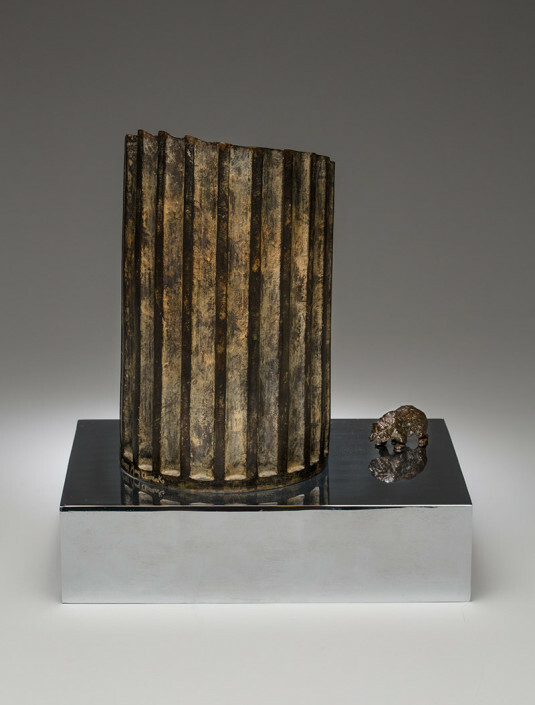 The bronze coyotes exudes permanence and challenge. 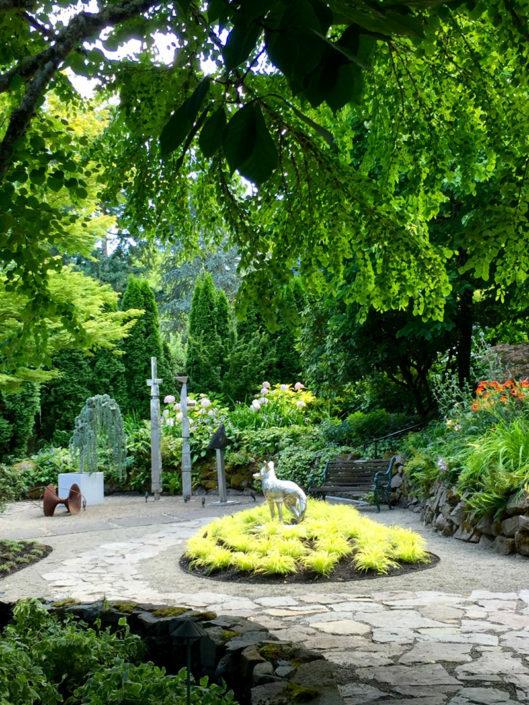 Nature and civilization have met and will they coexist?